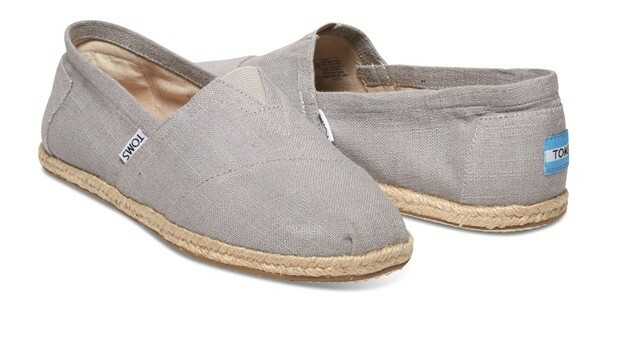 The Toms Classic Grey Linen Rope Sole 10008381 is now in ladies' sizes this summer! A go-to style, there isn't much these comfortable espadrilles won't go with! Easy to slip on and off, they also now feature a new molded footbed for extra comfort and support. Also a Vegan shoe, what's not to like?